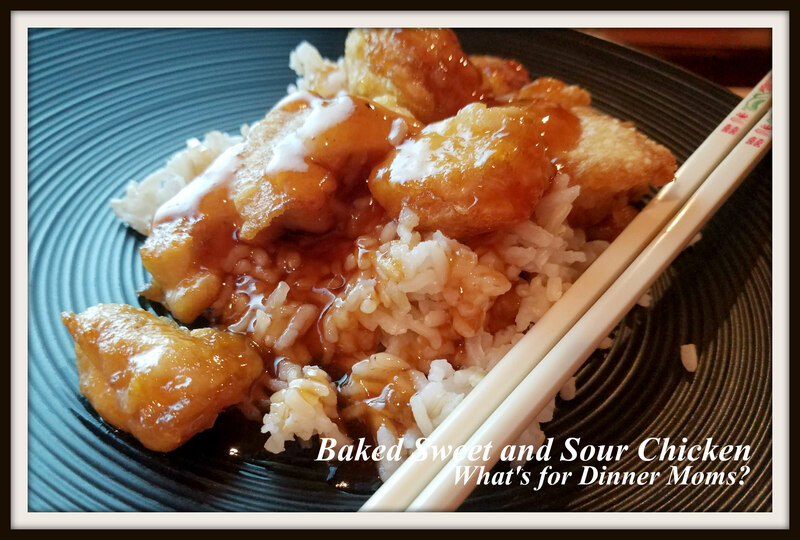 Baked Sweet and Sour Chicken – What's for Dinner Moms? Some nights dinner just seems to work and other nights it seems a chore. This was one of those nights that it actually came together quite nicely! It all worked out that the chicken I had out for dinner was still slightly frozen so that we could cube it easily. I hate cutting raw chicken into strips and cubes and much prefer it be slightly frozen so it cuts easier. Then we had ALL the ingredients in the house. We loved this dish. If you have some broccoli or red peppers to fry or steam with it that would be an amazing addition. This dish is slightly fried first to make the chicken a bit crispy but it bakes to thicken and soak up the sauce. If you are not a fan of apple cider vinegar you may want to use white vinegar or cut back on the vinegar. We LOVE vinegar and it smells really strong when it is cooking. It isn’t quite as strong as when you are eating it but the smell does bother some people. We served this with a green salad and green beans. A quick fry gives this mostly baked dish a delicious light coating. Preheat the oven to 325 degrees. Prepare a 9″ x 13″ baking dish by spraying with non-stick spray. Cut the chicken breasts into 1-inch cubes. Season with salt and pepper. Place the cornstarch in a gallon-sized bag. Put the chicken into the bag with the cornstarch and seal, tossing to coat the chicken. Whisk the eggs together in a flat bowl or plate. Heat the oil in a large skillet over medium heat until very hot. Dip the cornstarch-coated chicken pieces in the egg and place them carefully in a single layer in the skillet. Cook for a bit on each side until the crust is golden but the chicken is not all the way cooked through. Place the chicken pieces in a single layer in the prepared baking pan. 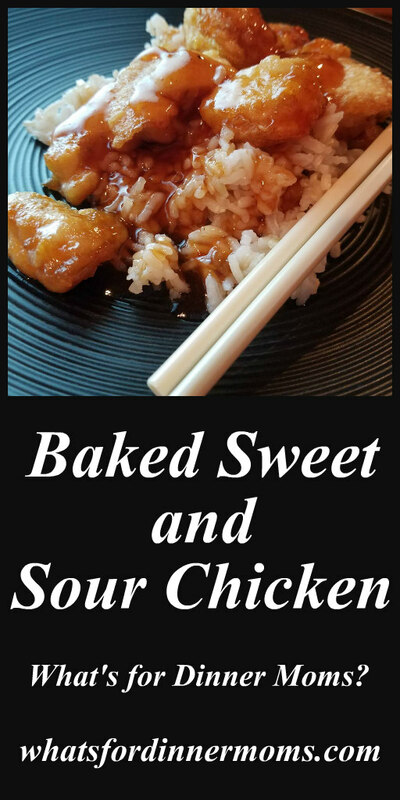 Mix the sauce ingredients together in a medium bowl and pour 1/2 over the chicken. Bake for one hour, turning the chicken once or twice while cooking to coat evenly with sauce. 15 minutes before the chicken is done cooking cook the remaining sauce until it thickens over medium-low heat. 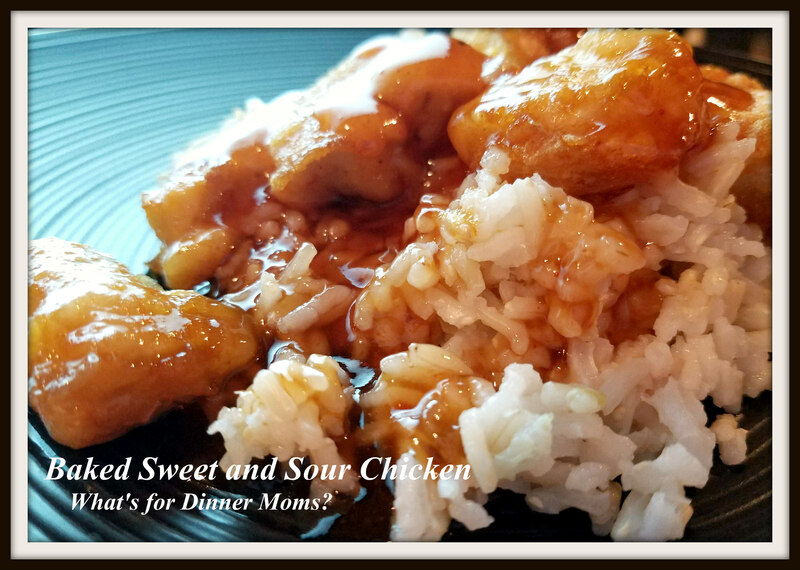 Serve chicken over rice with additional sauce, as desired. most welcome my dearest Marci!